The company, only founded last year, has already been tunnelling under Musk’s SpaceX headquarters in California, but has just received civic approval to dig a two-mile test tunnel 13.4 metres under public areas of Hawthorne, just outside of Los Angeles. To do this Musk acquired a used Canadian-made Lovat Tunnel Boring Machine (TBM) he ironically named Godot. The aim of The Boring Company is to develop a way of digging fast, low-cost tunnels to alleviate traffic congestion and enable rapid transit across densely populated areas. Musk’s preference is to go underground versus flying cars as a safer, cleaner option. And the company doesn’t see earthquakes as an issue, citing three seismic events in the last 30 years along the US West Coast where no damage occurred. “Tunnels, when designed properly, are known to be one of the safest places to be during an earthquake,” the company said. So, how can the cost be brought down? The Boring Company said the idea is to reduce the tunnel diameter and place vehicles on a “stabilised electric skate” – a flat plate on wheels propelled by an electric motor. This will bring the tunnel diameter down to 14 feet (4.27 metres), effectively reducing its width by half and cutting costs by 3-4 times. The autonomous skate would have zero emissions and be capable of travelling at 201 kph through urban areas as well as carry goods, cars or a Hyperloop pod. 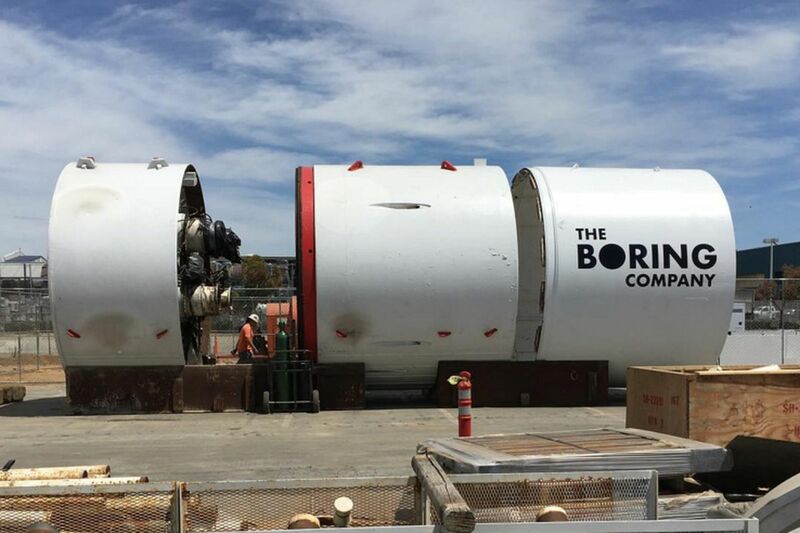 The Boring Company said lowering the cost also involves upping the speed of the TBM by increasing its power; continuously tunnelling; automating large TBMs; replacing current diesel locomotives with electric; and investing in research and development. “The machine’s power output can be tripled (while coupled with the appropriate upgrades in cooling systems),” the company stated.